eMedley tracks the what, when, and how of Optometry course instruction and ties curriculum content to the NBEO, ACOE, and ASCO standards while also allowing programs to monitor student performance tied to the same standards and content. With new focus put on evidence-based optometry, educators need systems to track the extensive training of students mastery of competencies related to examining, diagnosing, managing, and treating disorders, diseases, and injuries of the eye. Optometry programs use a number of performance tools to measure student learning as well as the effectiveness of the curriculum. 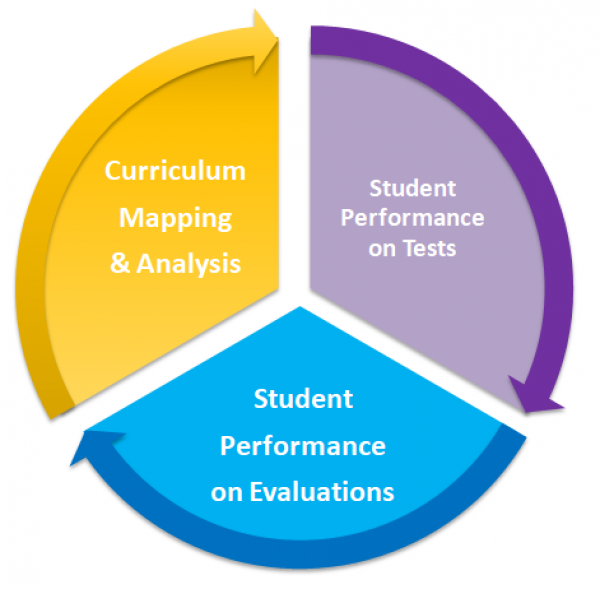 ExamN + eValuate give a complete picture of student performance across multiple assessment tools, tying it back to the same standards and competencies mapped in the curriculum. Map course objectives and experiences to ACOE Standards, NBEO Disciplines, and Clinical Competencies to track the what, when, and how, of course instruction. Identify gaps and overlaps in course instruction tied back to competencies and standards mapped throughout the curriculum. Manage student knowledge of appropriate diagnoses and treatments and tracking performance tied to specific Optometric competencies. eValuate gives a complete picture of student performance across multiple performance tools to measure student learning and the effectiveness of the curriculum. Easily track paperwork, documentation, and contracts for Students, Externship Sites, and Instructors. Keep the program up-to-date on anything that is expiring — affiliation agreements, faculty licenses, student documentation — with automatic reminders. Diagnoses, treatments, ACOE Standards, NBEO Disciplines, Clinical Competencies, and custom program standards preloaded in. Ensure students are getting the right amount of diverse clinical experience at a variety of externship sites. Built-in approval and review processes for assignments, case logs, evaluations, and documentation. What are we teaching? Which disciplines and competencies are being covered? How much are we covering? Are students learning what we think they should be from a variety of learning experiences? How well do students transition from knowledge to application? Can students successfully perform in the field based on the concepts learned in the classroom? What should we change with our curriculum to improve performance? eCurriculum not only provides a way to ensure programs are in alignment with accreditation standards, but also provides a way to demonstrate to site visitors how standards are met. All paper forms, documents, and documentation are configured for easy electronic editing and access. Allows programs to administer and analyze evaluations and student, faculty, and instructor documentation entirely online with automated reminders. Start seeing how well the program covers the standards. Become engaged with the curriculum design and think about ways to improve teaching and learning experience methods.